History is a strange thing. For the most part we take it for granted, dropping the Hansel and Gretel seeds of our everyday encounters in a carefree manner. Not stopping to consider that each moment, every minute and second of our present is creating our history. And in thousands of years – likely a lot less – it will become ancient history. 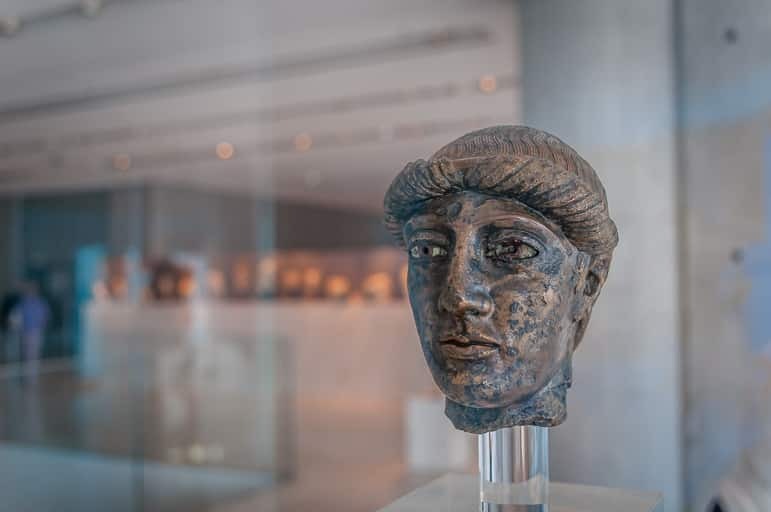 It’s only when you visit sights like Athens’ Acropolis and its adjoining Acropolis Museum that you revel in the history people left behind for us to uncover, immerse ourselves in, and learn from. Most cities have an interesting history, but aside from the likes of Athens, Rome and perhaps Cairo, few wear thousands of years of it like a badge of honour. Nor do they envelope you in their story in the way of these ancient cities. In each you’ll witness a seemingly casual abandonment of slabs of rock by the side of the road, or columns that pre-date the birth of Christ. These places’ history are so endless, so omnipresent that it seems to just be there, at times neglected by the rush of city life. 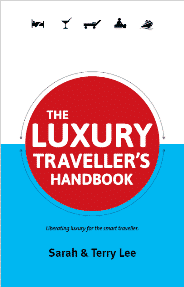 But don’t be fooled – the people of these cities do recognise the wealth of cultural riches at their feet. 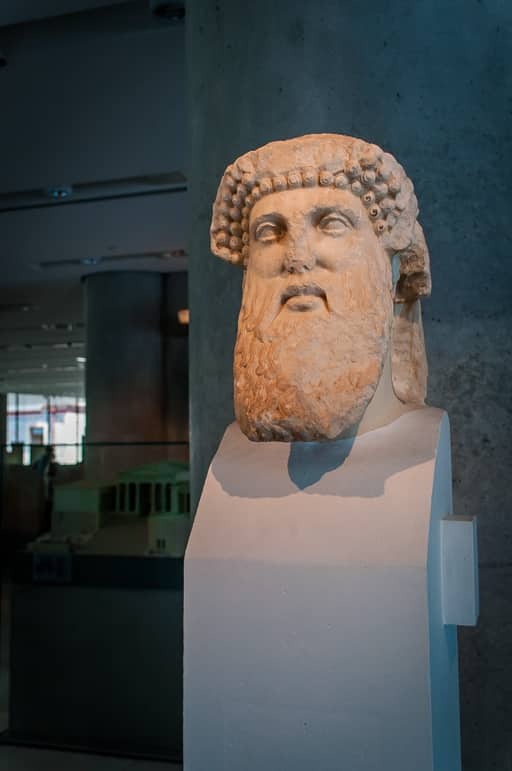 In 2009 Athens took a bold move relocating many of the artefacts at the old museum of the Acropolis, high on the hill where the archeological site bears down on the city, to a new home in the city centre. 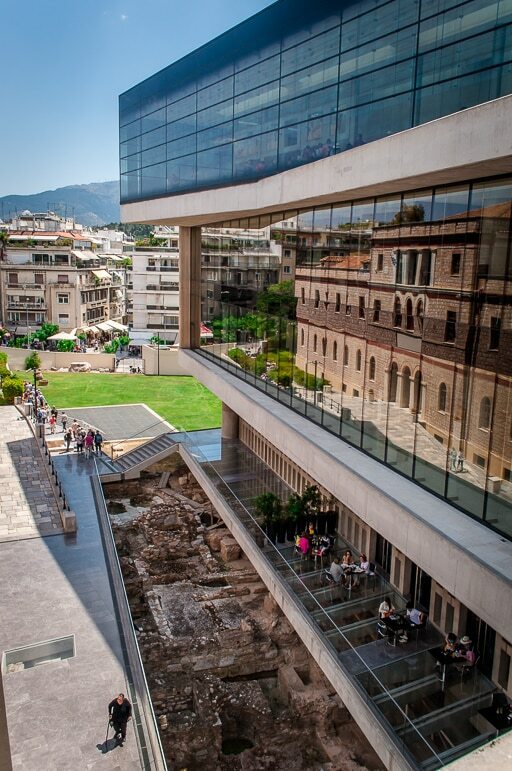 The new museum was built to house Athens’ great archeological finds. But Athens being Athens, the developers unearthed another archeological site during the museum’s construction. 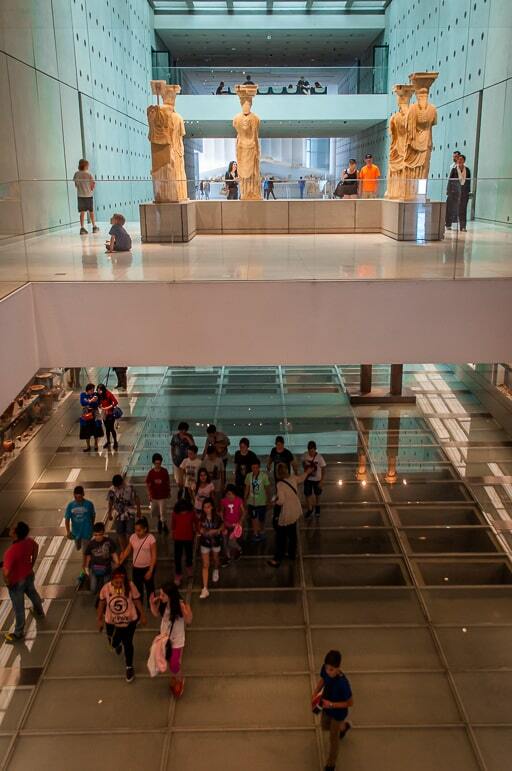 For me, the museum represents the strata of history. 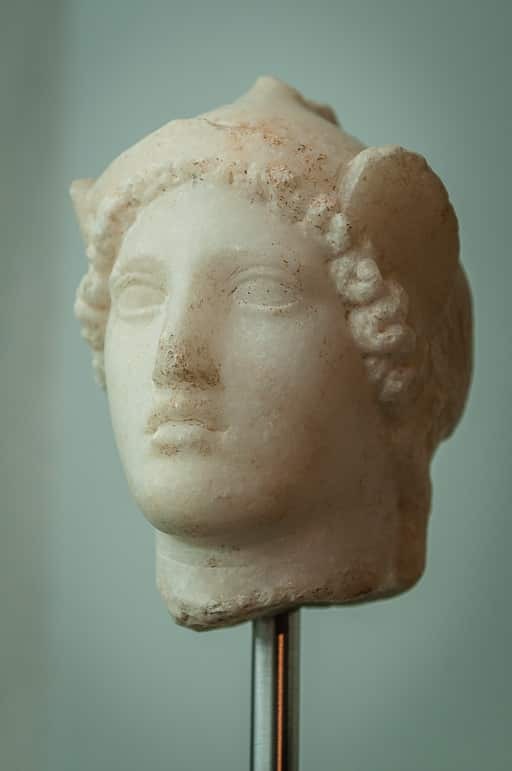 It sits on the site of ancient Makrygianni and the ruins of Roman, and early Byzantine, Athens. The site is still being excavated today and large columns hold the new museum above the heads of archeologists digging and dusting to reveal the history below ground. At street level the building is a 21st century architectural wonder. Its glass reflects a 1940s Romantic Byzantine building, and it is designed to maximise the light pouring in through the giant windows. 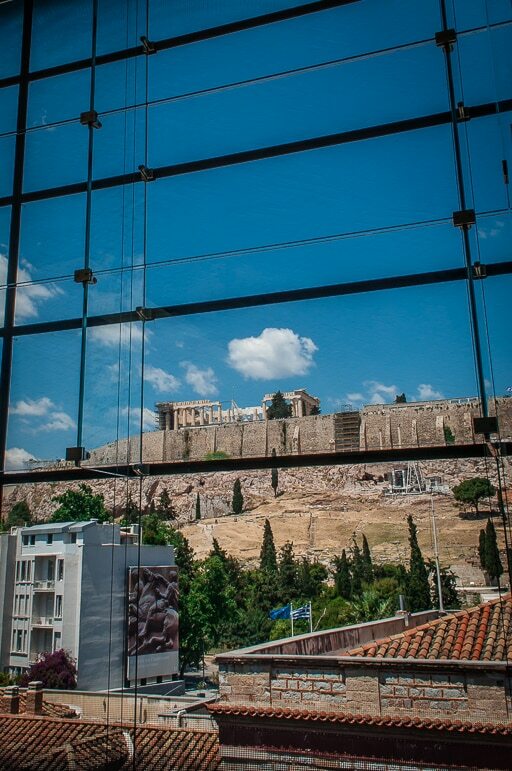 But to get to grips with this architectural artistry you have to step inside and take in the way it blends with new and old Athens, the way its different levels merge with glass ceilings and floors to reveal every layer of the experience (and that history I mentioned). And how it recreates the ancient Acropolis inside, while keeping the hillside with Greece’s best-known ruins in view. The Acropolis is a citadel first constructed in the 5th century BC. It is home to what remains of several buildings – the Parthenon, the Propylaia, Erechtheion and Temple of Athena Nike. But it’s also an insight into the lives of average ancient Greeks. One of the first areas we spotted was the Archaic Gallery – perhaps most intriguingly from above – watching as the jeans, shorts and baseball caps of locals, tourists and school parties wandered between its statues. 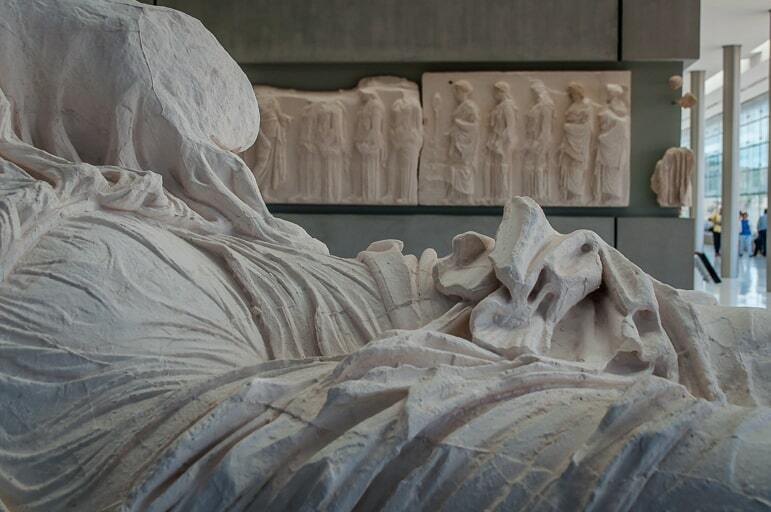 The statues were carved as dedications, many to real people who lived in Athens around the 7th century BC. Many of the sculptures are now white as time has largely faded the bright colours in which they were painted. However, there are still some statues with colour, and each has a character as individual as the person they represented. The exhibits were visible from all sides and there was something special about watching modern man mingling with the ancient statues. Heading to the third floor we reached the museum’s pièce de résistance. Though it seems hardly fair, given that so many of the exhibits and the building itself, are remarkable. 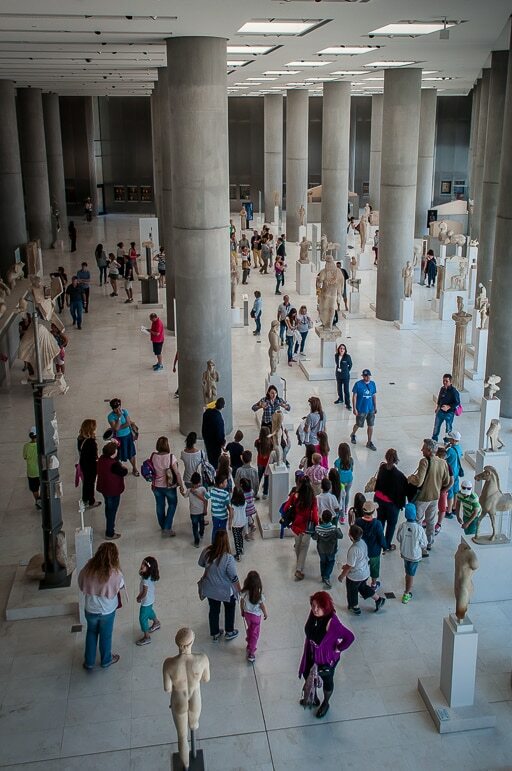 But the Parthenon Gallery and its friezes are what so many people come to see. The friezes are spectacularly shown off in a space designed to perfectly reflect the original temple building. The whole floor has been rotated to align with the original Parthenon and the friezes sit on a rectangular cement core with exactly the same dimensions as the inner area of the temple. They tell the story of the Great Panathenaia, the greatest festival of the ancient city in honour of Goddess Athena. The festival took place every four years, lasted 12 days, and included rituals, sacrifices, and athletic and musical contests. 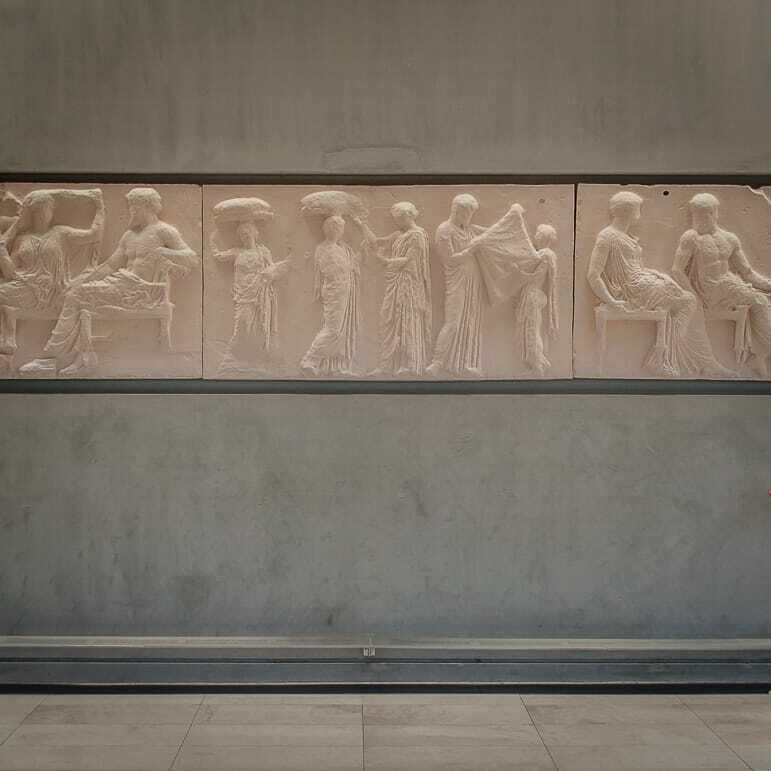 The narrative is pieced together with a combination of the original blocks of the frieze, and cast copies of pieces in international museums, such as the British Museum and the Louvre. The whole piece consists of 115 blocks, with a total length of 160 metres, portraying 378 human figures and deities, and more than 200 animals. It is impressive, especially when juxtaposed with the actual Parthenon, visible through those enormous windows. 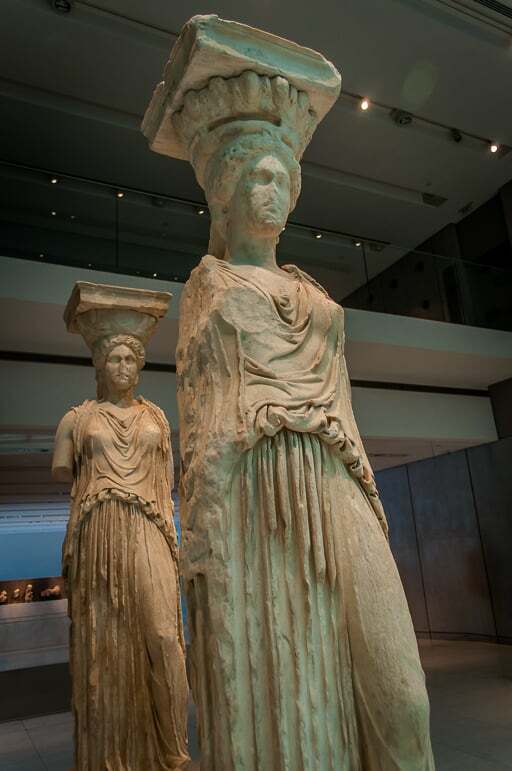 But my favourite part, of what is an incredible museum, were the statues – from the still-present grace of the Caryatids, five of the six original statues of maidens that once held up part of the Erechtheion, to the Gallery of the Slopes and Archaic Gallery. 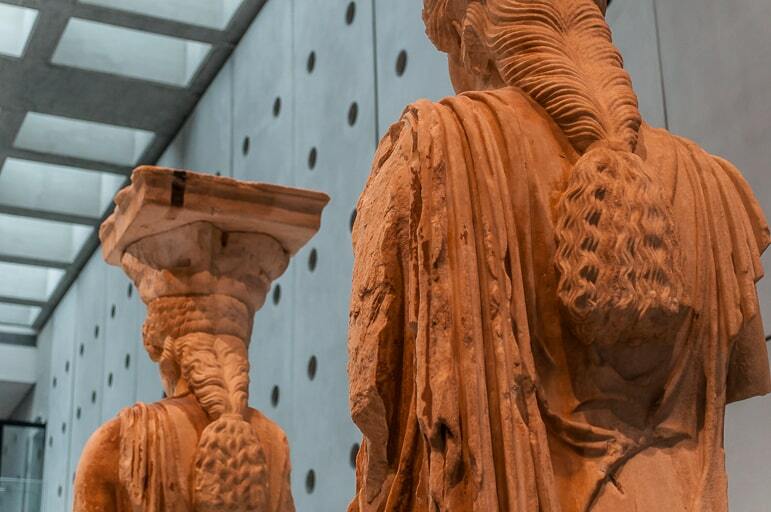 Oddly I’m not a huge fan of museums, eschewing them to soak up a city’s culture and history from its streets and people, but the Acropolis Museum is one of the most fascinating I’ve ever visited. And with its award-winning architecture, something of a work of art. 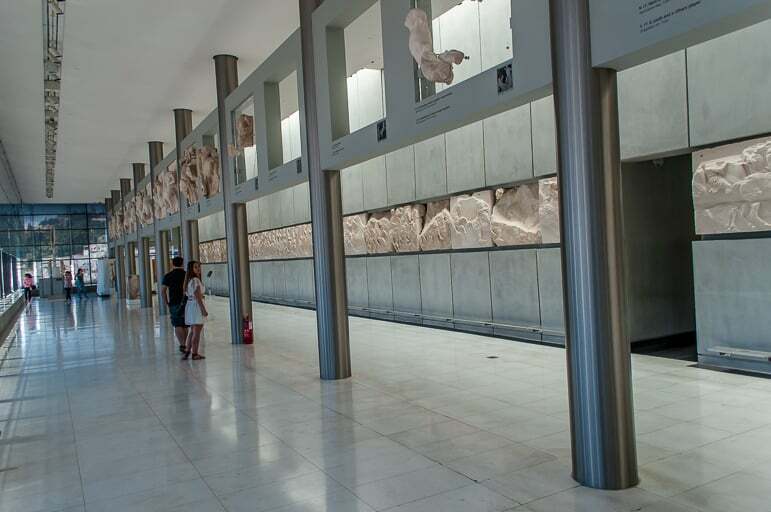 The Acropolis is not the only museum in Athens with fascinating stories to tell and visit-worthy exhibits. 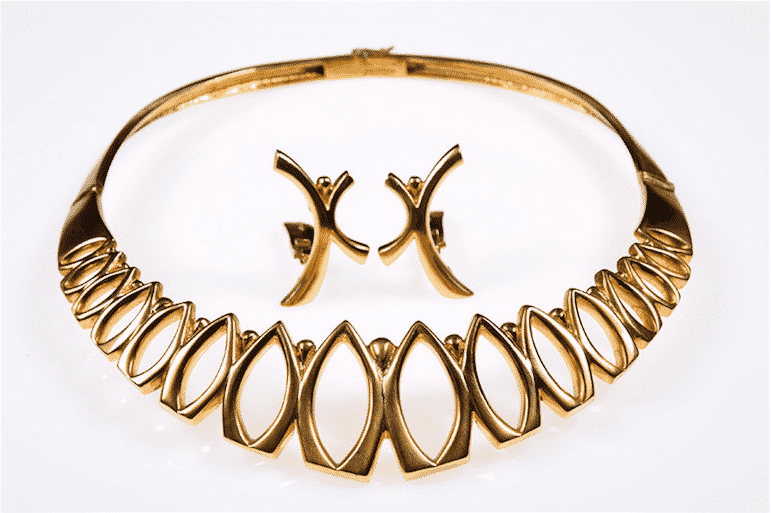 A three-minute walk brings you to the Ilias Lalaounis Jewelry Museum, in Kallisperi. 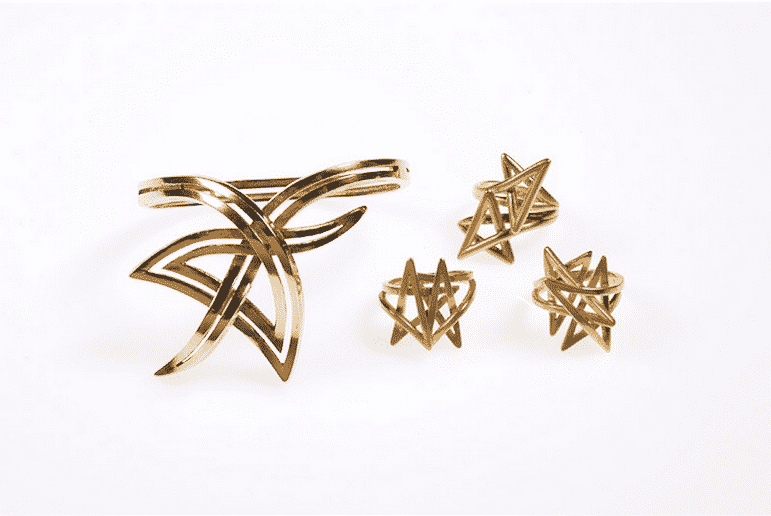 Charting the career and craft of one of the world’s most eminent jewellers, this relatively small museum is run by his family, and we were given a guided tour by one of his daughters and museum director, Ioanna. 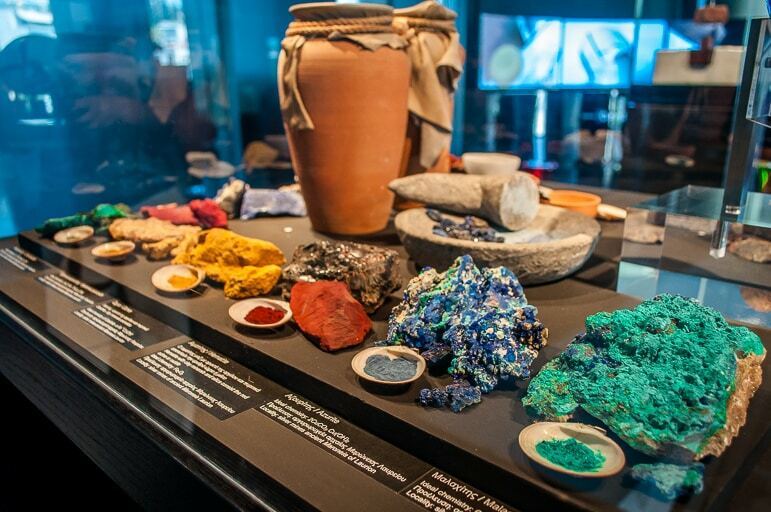 The museum is the perfect follow on experience to the history of ancient Greece because Ilias Lalaounis’ early pieces were based on ancient jewellery. 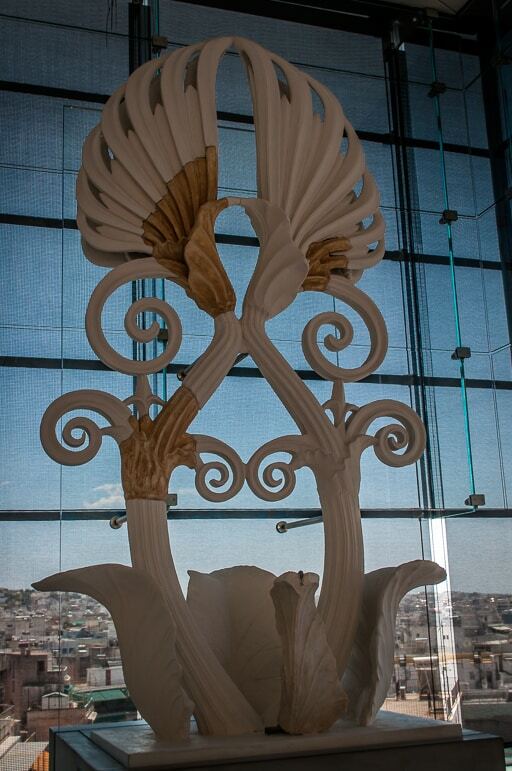 Its collection includes over 4,000 pieces of jewellery and sculptures designed by Lalaounis, between 1940 and 2000. 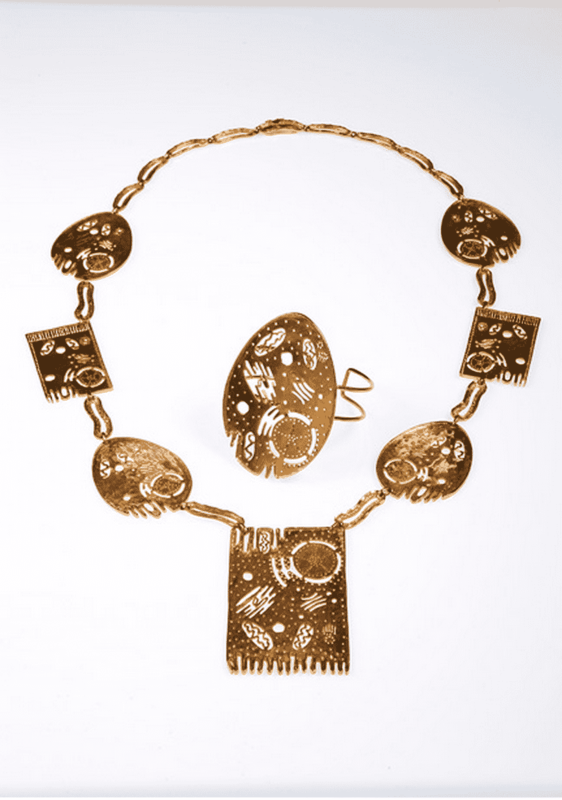 It has collections of dramatic gold pieces inspired by the art, archaeology and anthropological findings of prehistoric Europe and Greece, and classical Greek art through to the Byzantine era. But Lalaounis was not only inspired by history. He found inspiration everywhere from the natural world to that of science, genetics and space travel. 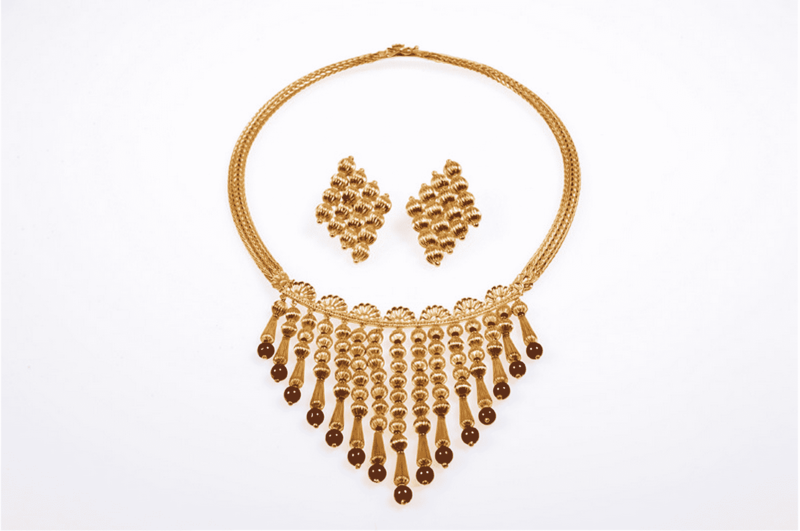 There were also pieces produced for famous names such as Jackie Kennedy Onassis. But what I loved most about the museum was the way that Lalaounis had combined the most unusual concepts and themes into beautiful pieces of jewellery. There were constellations, chromosomes and even sperm cells beautifully entwined into brilliant pieces of art. 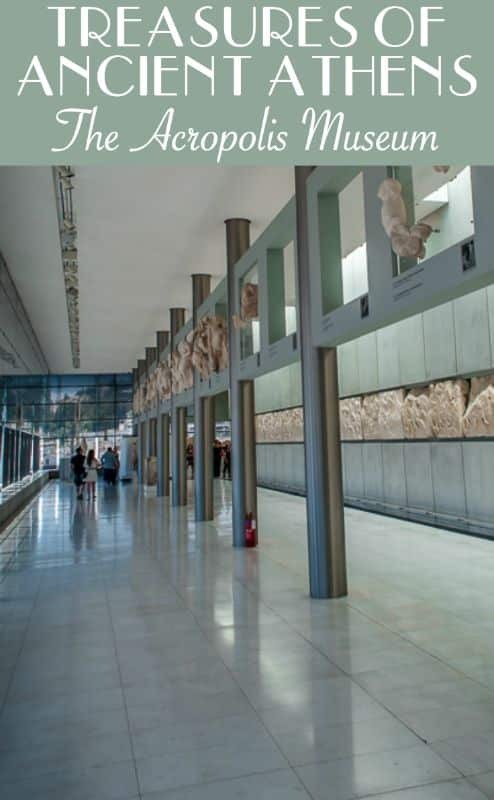 I visited the Acropolis and Ilias Lalaounis Jewelry Museums as part of a project with AFEA Luxury Travel Experiences (+30 2103668830 or email: [email protected]). 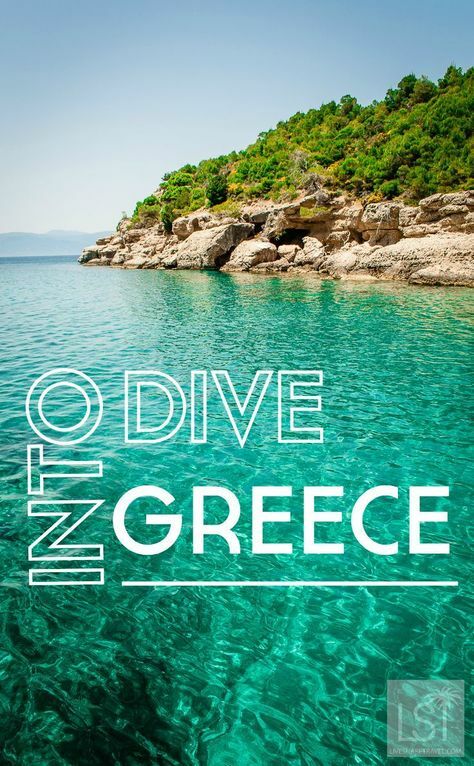 Its Athens cultural tours are in a number of luxury packages it organises on the Greek mainland and to the islands, such as this experience in Spetses. 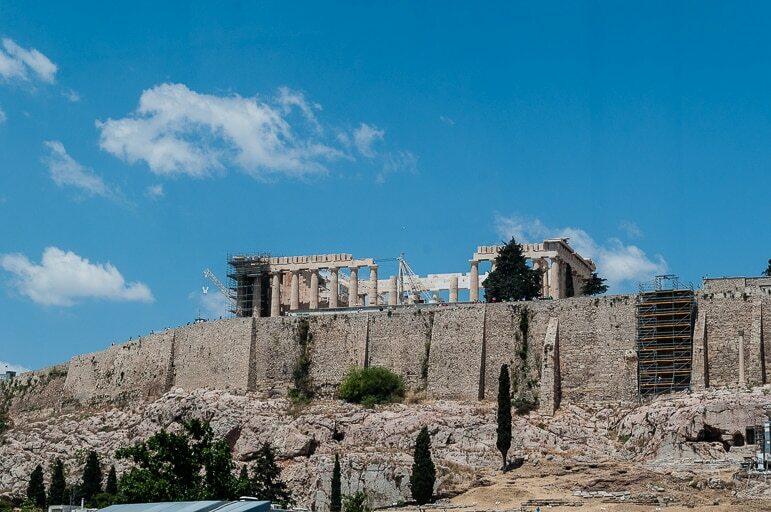 You can find out more about Athens and its unique Greeters programme, where you can be matched with an Athens local to guide you to the best that it has to offer, on the Who Do You Think You Are site. 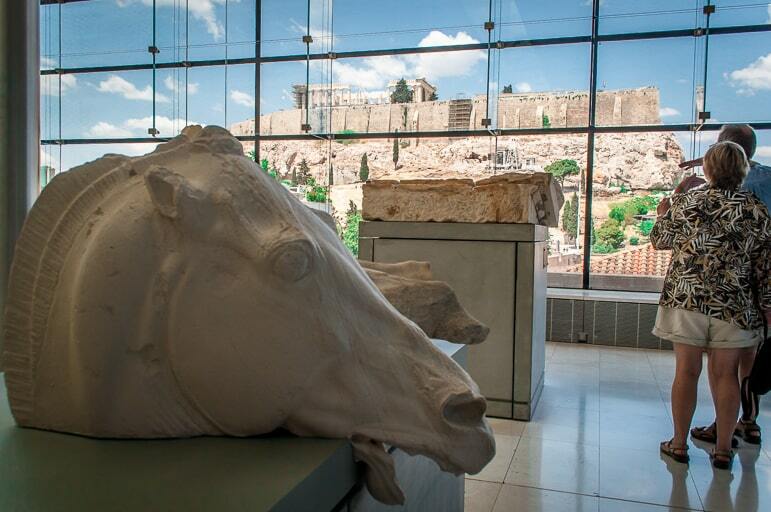 it’s wonderful Athens saw the importance of preserving ancient history and culture. Some of the artifacts and sculptures look massive and complex! 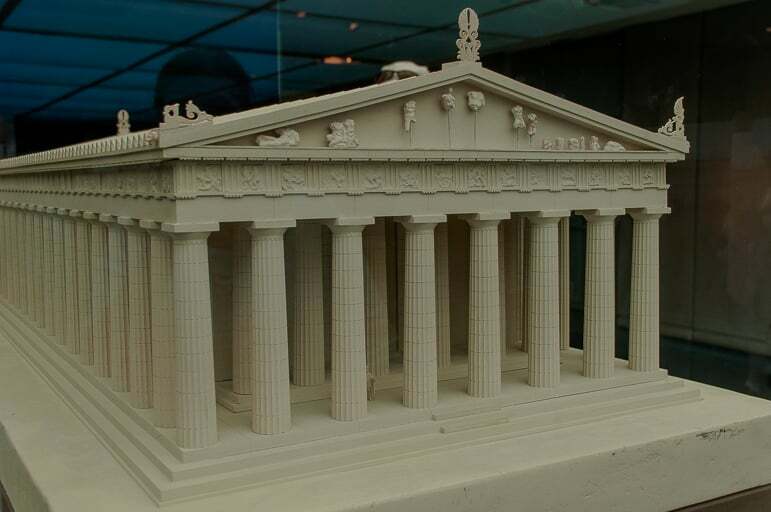 It’s impressive to see the knowledge and talents of Ancient Greece.